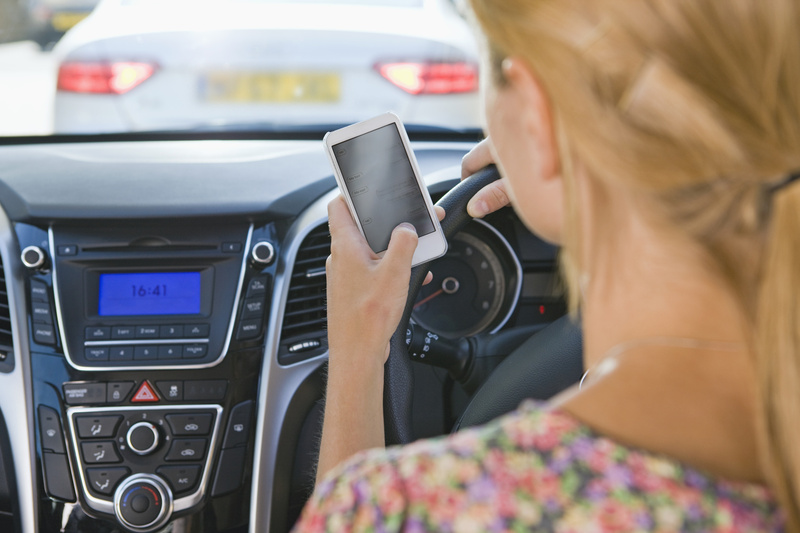 While most people automatically think of cell phones as the biggest cause of distracted driving, they may be starting to help the issue. New smart phone technology is being developed to help display information on the windshield, which will prevent drivers from looking down at their phone. Similar technology that is being looked at for cars has been used in planes since the 1940s to help pilots land. Experts agree that adding the new technology into cars could help drivers keep their eyes on the road, even if they want to check their phone. Navdy, the company that has developed the heads up display, allows information from a smart phone to be projected onto a screen that will attach to the dashboard of your car. It will allow texts to be read out loud by a computer voice, and then utilizes voice texting to reply back. The new technology also has motion and proximity detectors built in, which will allow you to deny a phone call with your voice or by waving your hand in front of the screen. The Navdy system can be integrated with your car’s computer system, which allows information of your vehicle to be projected onto the screen, such as the speed, RPM, and fuel economy. It even has the capability to project directions of where you are headed right on the screen. Even though this new technology is a step in the right direction, experts are still warning users about the dangers of distracted driving. While it is meant to keep people safer on the road, it may do the opposite. With hundreds of cars on the road at any given moment, simply taking your eyes off the road for 2 seconds can be enough to cause a crash. Contact Gee Schussler Insurance Agency in Orland Park, Illinois for all of your auto insurance coverage needs and to ensure that you have the right policy for your needs.